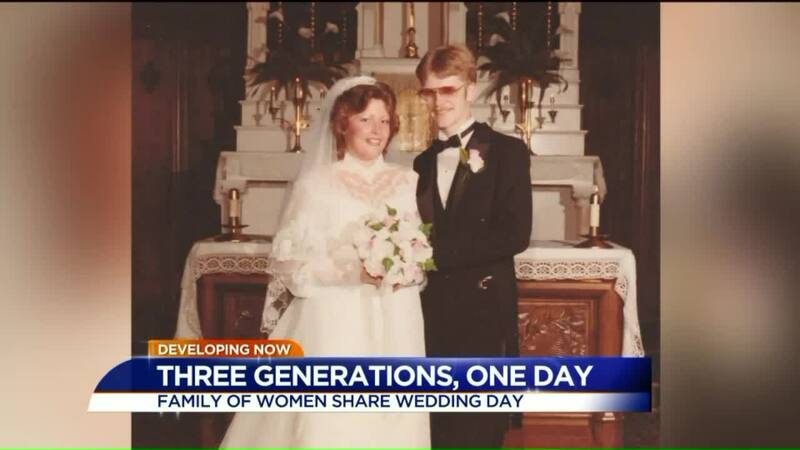 STAFFORD, Va. (WTVR) -- A Virginia family is celebrating a very special wedding next month that will have three generations of women celebrating their weddings in the same place at the same time. It has been a moment more than 60 years in the making. On August 20, Christina Robinson and Michael Puterbaugh are getting married in Stafford, Va., just outside of Washington, DC. 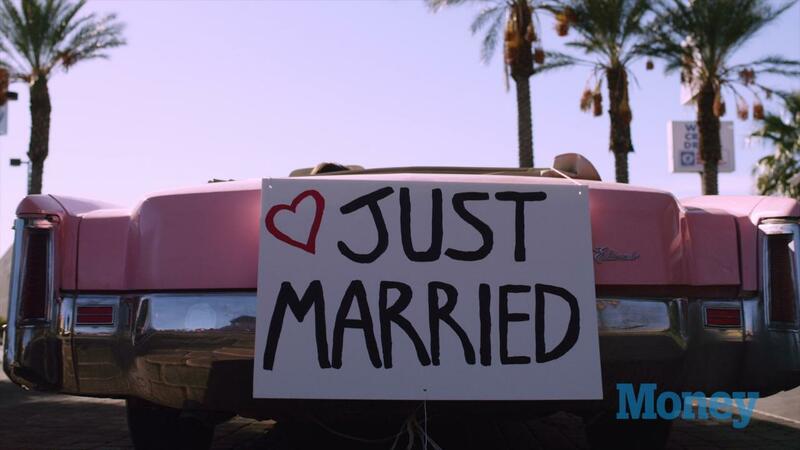 On that same day, two other couples at the wedding will celebrate their wedding anniversaries. Christina's parents Gail and Rob Robinson will celebrate their 33 wedding anniversary. The two got married on the same day, August 20, 1983. Christina's grandparents Walter and Joan Cecchini will celebrate their 61 wedding anniversary. They were wed back on August 20, 1955. All three generations will attend the wedding. The family said the wedding date started out as joke between Christina and her mother Gail. It just so happened, August 20 landed on a Saturday in 2016. Christina and her groom Michael says they are honored to share this date with family and hope to have as many happy years together as Christina's parents and grandparents.